In the hyped-up days of Twitter and Facebook, we are all looking for 'the next big thing'. If that next big thing is being described as a Google killer, then people sit up and listen. Wolfram Alpha has been thus described, although the long-awaited public release shows that it is no such thing. Wolfram Alpha, like Google, is a search engine. You type a search into its search box and it attempts to find relevant material for you. That is pretty much where the similarity ends; Google lists its results as excerpts from a plethora of web sites, whereas WolframAlpha lists a bunch of facts and figures based on data it has previously collected and analysed. WolframAlpha Is a computational search engine. Ask it to calculate something, and it will do so. WolframAlpha Isn't able to answer 'why' or 'how', or even tell you where you can find the answer. WolframAlpha Is precise. 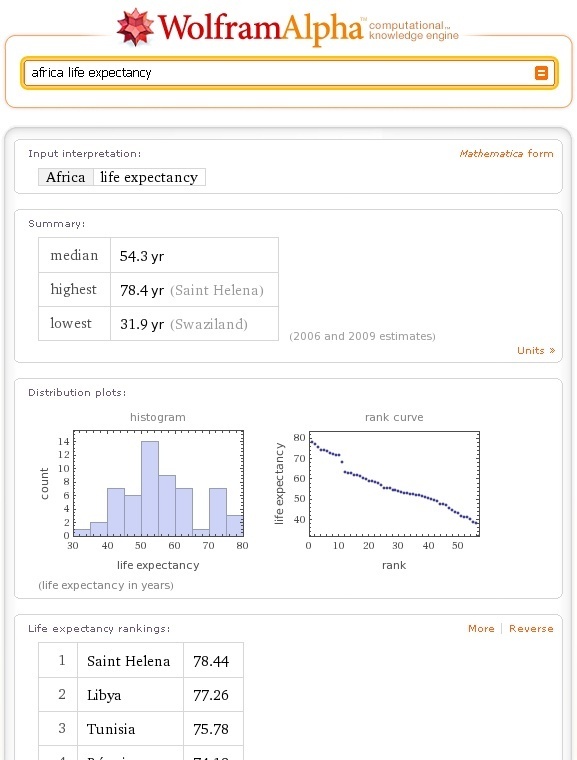 If it can answer your query, it will do so precisely; if it cannot answer it, you get told 'Wolfram|Alpha isn't sure what to do with your input'. There appears to be little middle ground. 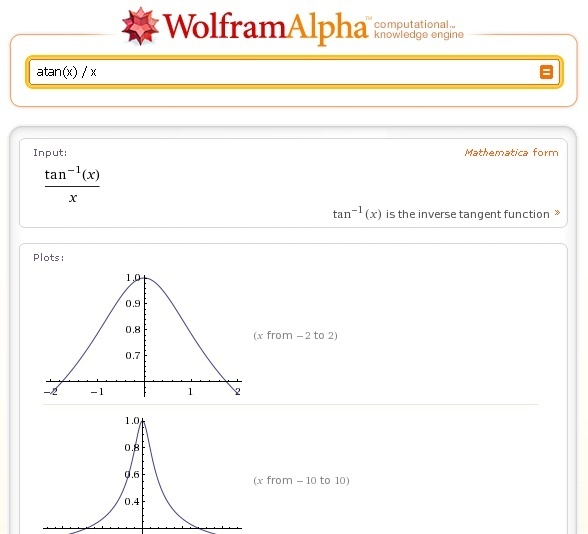 WolframAlpha Isn't a Google killer. If anything, it would be a natural accompaniment by extending Google's current efforts to provide raw facts in limited cases. WolframAlpha Is full of data, and if you realise what sorts of data it holds and how to query it, you may find yourself wasting many hours trying to drill in and see what comparisons are possible. Two great parts of the interface are mathematical function plotting and geographical mapping. The first is just a really handy tool if you need to experiment with formulae or try to derive some equation. The latter is just a really nice way of displaying statistics across different regions.